Today’s Gospel reading follows the transfiguration. Something truly extraordinary happened on the mountain. Yes, Jesus was transfigured – but something even more important in the heart of Jesus happened: He revealed his purpose to two witnesses from the old covenant – Moses and Elijah. Luke tells us he spoke to them of his “exodus” (Luke 9:31, note footnote to the translation). Interesting, Jesus telling Moses of his own exodus! And coming down from the mountain he started to tell his three disciples about what was coming. They listened, but they did not understand. Their minds were stuck in a different way of thinking. They were dazzled by the divine light, but they did not see the true glory of Christ, the glory that would be revealed on the Cross and in the Resurrection. So they came down, into the messy life that most people live. They came down to the noise of expectations and accusations. No wonder Jesus is angry. Who is he angry with? The father? The disciples? The crowd looking for another miracle they can take a picture of and post on their Facebook page? Because you see that’s really what religion is to most people – something they can stare at, something that they can boast about and make them feel good about themselves and give them reassurance about all the evil. And miracles are always a good boost to superficial faith. So Jesus calls them a “faithless and perverse” generation. And not just them but people of all times and places. The ego of the disciples is damaged. Why couldn’t they do it? Because of their little faith. If they had faith, they could move mountains! Nevertheless, Mark’s version of the story makes an important addition: this kind can only be driven out by prayer and fasting. Matthew left that out, but it was too good to leave out and later editors added it to Matthew’s version of the story. Move mountains? Literally? I doubt it. Jesus was not into that kind of showmanship. Don’t forget he rejected the temptation thrown at him by the devil to turn stones into bread. 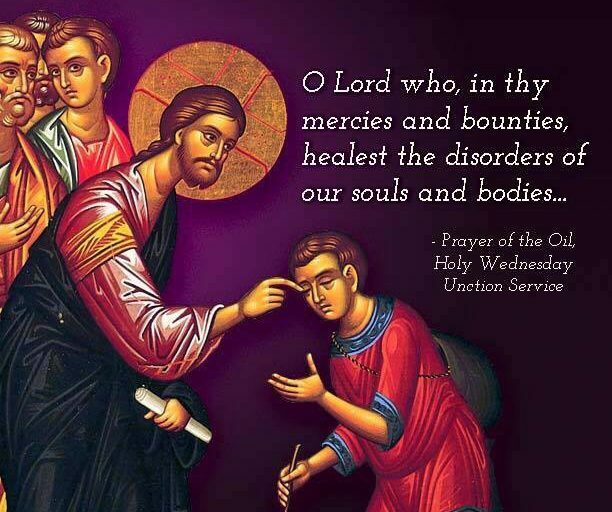 Jesus authorized his disciples to heal the sick and drive out demons. But just like with Peter attempting to walk on the water, they had to keep their focus on Jesus. Faith, prayer and fasting – essential to the life of the church as community. 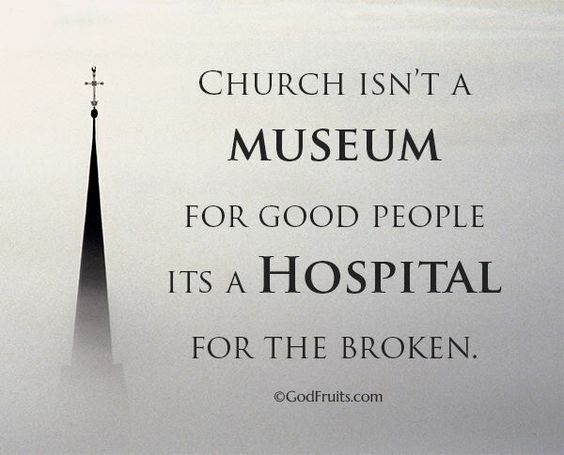 The church is the place of healing, restoration, new life. Last week the image of the church was a boat. This week the image is that of a hospital. The Orthodox tradition has used both images of boat and hospital to describe the mission and presence of the church in the world. Categories: Sermons | Tags: church as hospital, faith that moves mountains, healing of epileptic boy, prayer and fasting | Permalink. Today’s Gospel reading (Matthew 14:22-34) has given rise to the traditional image of the church as a boat. Matthew certainly has a bigger church orientation than the other gospels – for example: Peter the rock on which Jesus builds the church; the command to go and baptize. 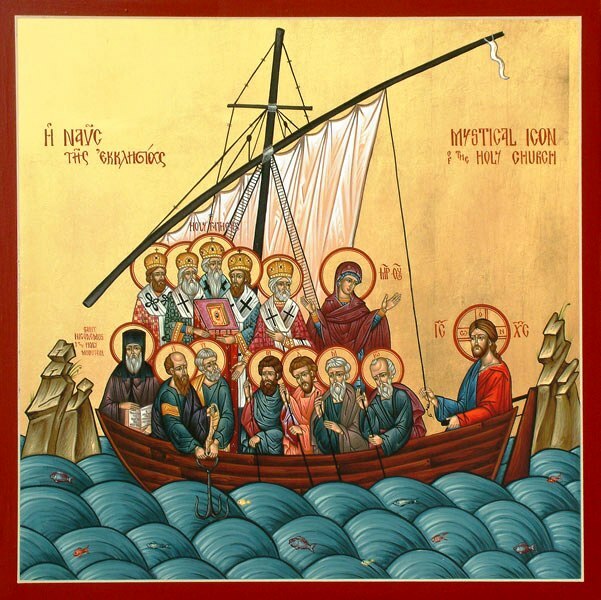 A typical icon showing the church as a boat through the sea of history with Jesus at the helm. In typical fashion, the icon shows bishops with the apostles as leaders of the church, together with the all-holy mother of the Lord. For the first time the disciples are sent forth without Jesus. The boat struggles in the stormy sea – a symbol of the church’s stormy journey through history. Jesus – who represents the presence of God (Emmanuel, “God with us”) – is not with them. Where is Jesus while the storm tosses the boat? He is εἰς τὸ ὄρος κατ’ ἰδίαν προσεύξασθαι. ὀψίας δὲ γενομένης μόνος ἦν ἐκεῖ. He was alone by himself, praying on a mountain – Matthew emphasizes the aloneness of Jesus twice! In the fourth watch – meaning, between 3 and 6 AM – Jesus comes to them, walking on the water. He reassures them that it is he – ἐγώ εἰμι, an echo of the divine name in Exodus 3:14? This doesn’t of course mean that Jesus claims to be Yahweh – after all, he was praying to Yahweh (God the Father) just hours earlier. But regardless how his walking on the water was interpreted on that night or by the apostles, it was clearly a demonstration of divine power and Jesus represented the divine presence and assurance. Peter’s attempt to walk on the water is unique to Matthew (not in Mark’s version) – another sign of Matthew’s church orientation. Peter steps off the boat and begins to walk toward Jesus. But he notices the storm – which means he took his eyes off Jesus, and that’s when he began to sink. But the first step was to leave the boat – the boat which represented community, Peter’s community: the company of the disciples. Lesson for us, for the church of all ages? Step away from community invariably leads to losing sight of Jesus. Then the storms overwhelm. The sea is a barrier that separates the disciples from Jesus and the presence of God. We can try to overcome barriers on our own, but Jesus meant us to be a community of believers who share the experience of the storms of life. Peter not only took his eyes away from Jesus, but he left the boat, which was the community, the church, for him! He is with us in prayer – as our high priest. He is with us in the storms of life – reassuring us, telling us, “don’t be afraid, I AM” – I AM the presence of God. He is with us in the community – the church – that he established so that we will never be alone in the storms of life. The church is not bishops and priests. The church is not an institution. The church is not another organization that competes for your time and money. The church is a boat. Are you on board? Or are you trying to do it on your own? Categories: Sermons | Tags: Christ with us, church as community, divine presence, God with us, the church as a boat | Permalink. “Welcome one another, therefore, as Christ has welcomed you, for the glory of God.” A beautiful welcome today from St. Paul’s letter to the Romans. A welcome on this feastday of the Transfiguration – a day that reveals the glory of God to us. Jesus could have also said – something greater than Moses is here; something greater than Elijah is here. Moses and Elijah were front and center in the people’s consciousness. Remember that they questioned whether John the Baptist or Jesus himself was Elijah come back to earth. And Moses, the giver of the Law, of course was constantly the issue whenever Jesus was confronted with challenges about the Law. Why did Moses and Elijah appear with Jesus on the Mount of Transfiguration? They both represented the ministry of prophets in the Old Testament. Moses himself was the prophet par excellence – not in the sense of prophesying the future, but in the far more important sense of proclaiming God’s word to the people. Elijah spoke the word of God in a most difficult time in Israel’s history when the people were in danger of losing all connection with God. Not only that, but they both had profound mountaintop experiences with God. They both passed on from life in unique circumstances – in a sense, they did not die! And both were denied the privilege of openly seeing the glory of God. Now their desire was fulfilled. But the most important meaning of their appearance, I believe, has to do with their ministry as prophets. There were three primary offices in ancient Israel: the King, the Priest, the Prophet. In appearing with Jesus, it wasn’t only their desire to see God’s glory that was fulfilled, but also their ministry. Someone greater than Moses, someone greater than Elijah, was here. Jesus took upon himself the full ministry of the prophet: “To this end was I born, and for this cause came I into the world, that I should bear witness unto the truth.” And not only to bear witness to the truth, but “I am the way, the truth and the life”! He was the Truth; he was the Word! The ministry of the prophet came to an end with Jesus – regardless of what Moslems believe about Mohammed. In his mouth, the word of God became the word of man. The word is near us, on our lips, in our hearts, St Paul told us two Sundays ago. We can say that Jesus fulfilled the ministry of prophet, so that the ministry can be shared by all of us, individually and communally. We all share the responsibility of owning the word of God, making it our own. Jesus brought the ministry of Moses and Elijah to an end so he could be our Great High Priest – to fulfill also the ministry of the priest. In his version of the transfiguration, Luke tells us that he spoke to Moses and Elijah about his exodus that he would accomplish in Jerusalem – namely his death. Moses was not a priest; that office was given to his brother Aaron. This was a psalm of ascent, chanted or sung by the people as they went up to the Temple in Jerusalem. It was a psalm of entry. 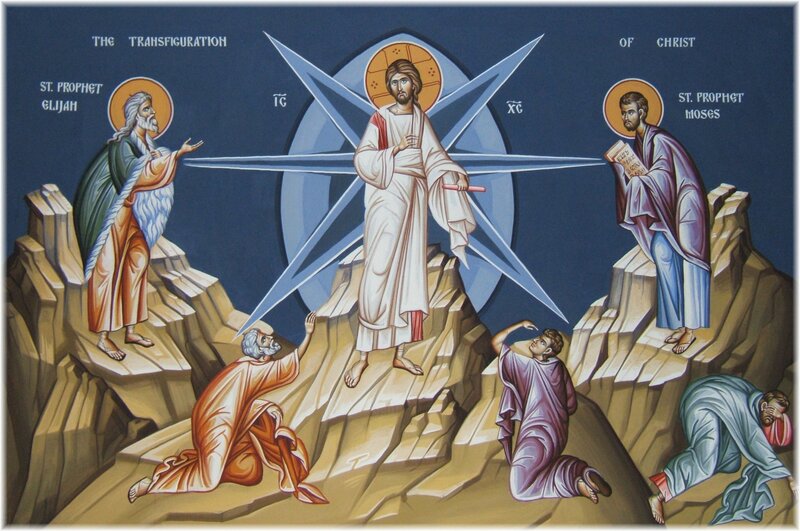 We also today are invited to ascend with Christ to the heights, where we are transfigured, filled with God’s presence, and brought to ministry in Jesus’ name. We are sanctified (made holy) together with him. We are of one source; we have the same Father. Categories: Biblical Explorations, Sermons | Tags: Jesus as high priest, Jesus as prophet, office of priest, office of prophet, Transfiguration | Permalink.